P&W are not alone in the excitement and anticipation for Christmas 2017! The John Lewis Christmas Market opened in late September at its flagship Oxford Street store, and we’re thrilled to have a huge display of P&W-designed Kinder packaging in-store. 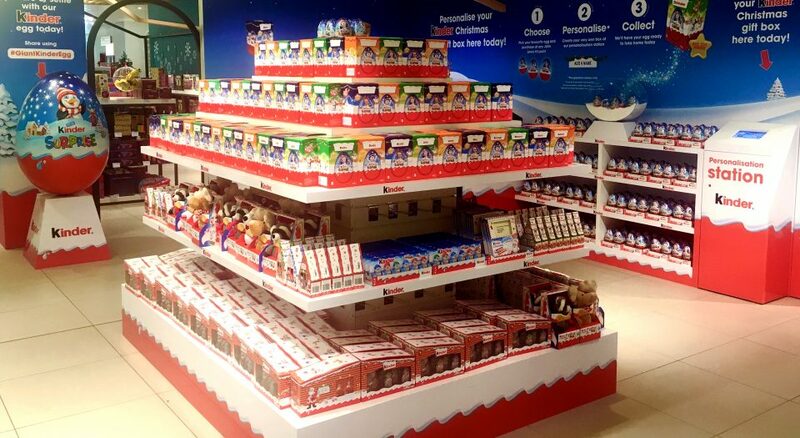 On the third floor of the store is the Kinder Workshop, selling the latest Kinder seasonal products. There is even the opportunity for Kinder lovers to create their own personalised 100g egg! P&W created the three different character box options (a penguin, reindeer and snowman), from which shoppers choose their favourite and, using their special in-store printing, have their name, or the name of a loved one printed onto the box. Each Kinder Surprise Large personalised egg costs £7.50. 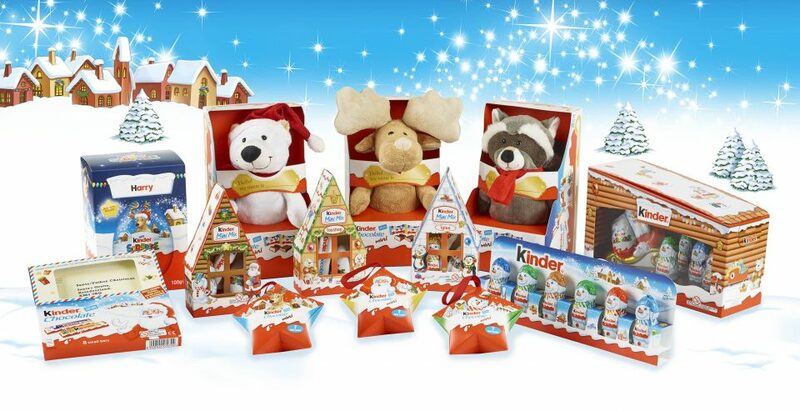 As well as designing the personalised egg boxes, P&W also designed the Kinder Mini Hangable Stars, Kinder Fluffy Toy with Mini Chocolates and Kinder Surprise Grotto for the fourth largest confectionery brand in the UK. 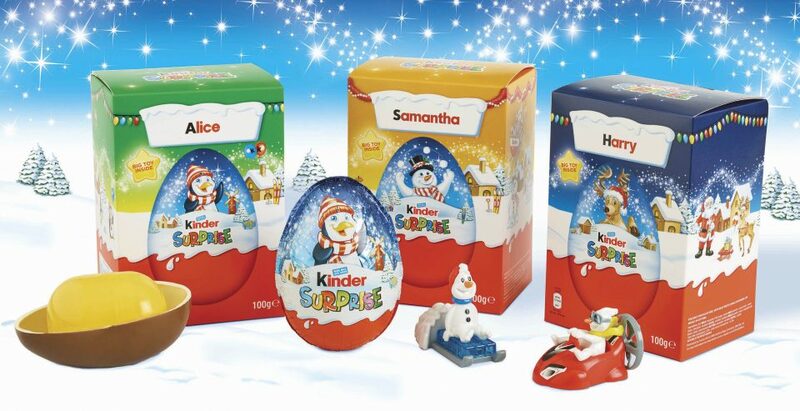 Adding to the 2017 seasonal line-up are two new products, the much-anticipated Kinder Mix Advent Calendar and Kinder Chocolate Santa Letter. The latter comprises 2x 100g Kinder Chocolate bars, paper, stickers and an envelope; children can write letters to ‘Santa’ which the Royal Mail will reply to! It is not the first time Ferrero has tapped into the personalisation trend; in 2015/16, P&W assisted with its ‘Your Nutella, Your Way’ campaign.